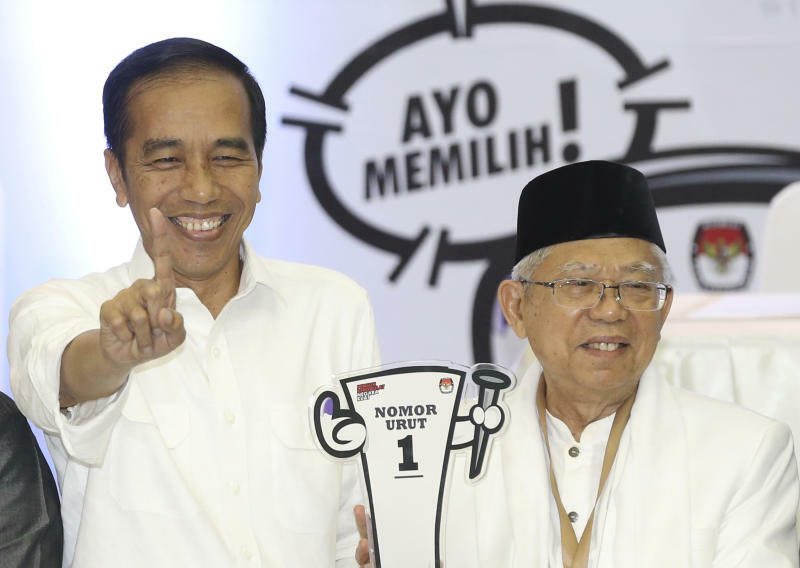 JAKARTA, Indonesia (AP) — Opinion surveys two weeks ahead of presidential and legislative elections in the world's third-largest democracy show Indonesian President Joko Widodo and his ruling coalition maintaining a large lead over the rival camp. Subianto's ultra-nationalistic campaign has focused on what he sees as Indonesia's weakness in the world relative to its vast land area rich in natural resources and population of more than 260 million. He has highlighted significant problems facing the country including poverty and particularly the tragedy of stunting — malnutrition in children younger than 5 that causes lifelong physical and mental impairment. The U.N.'s Food and Agriculture Organization and other international agencies said earlier this week that the percentage of Indonesian children suffering from stunting fell to 30.8% from nearly 38% between 2013 and 2018. Meanwhile, the Pew Research Center, in research released Thursday, said Indonesians are increasingly optimistic about their country's current and future economic situation. Religion has not figured in the election campaign as prominently as expected in the predominantly Muslim nation. Widodo at least partially neutralized criticism he is insufficiently Muslim by naming a conservative cleric, Ma'ruf Amin, as his running mate. Personality differences also appear to have worked in Widodo's favor.